Location! This home is an entertainers dream! Relax & enjoy the Florida lifestyle! The expansive pool lanai is a great place to spend your days in the SWFL sun. The pool & screened area are spacious with an outdoor fireplace & living area. The amazing outside covered entertainment area features a bar, built in kitchen, covered paver deck & letâs not forget about the fire pit. The backyard is a lush tropical oasis & all fenced for your privacy. The home features tile & wood floors. There is a large dining area just off the spacious kitchen. The kitchen has upgraded counter-tops with stainless Frigidaire appliances. 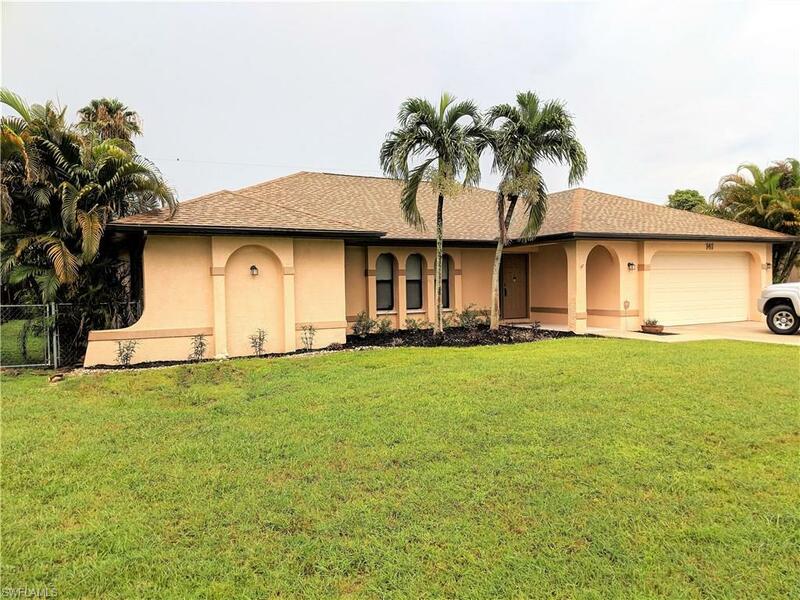 Well appointed bedrooms & living spaces make this a perfect home for your family.The master bedroom & one of the guest rooms open up to the lanai area. The master bath has both a soaker tub & a massive shower along with dual sinks.. The laundry room is large. The kitchen & baths were updated in 2011. The roof was done in 2013. Doors & windows were replaced in 2016. The HVAC system changed out in 2017. Home re-piped in 2018. ALL ASSESSMENTS ARE PAID! Centrally located near the mid-point bridge & close to shopping and restaurants with quick access to Veterans corridor.